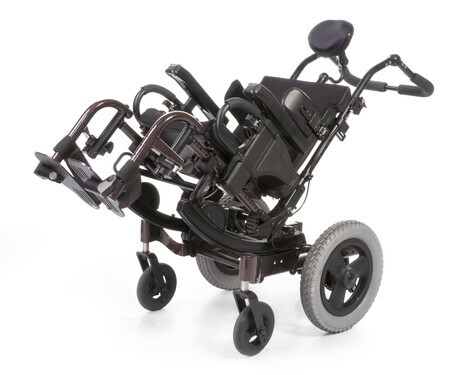 The Zippie IRIS® rotation-in-space wheelchair offers a superior combination of positioning, maneuverability, and increased portability with the XLOCK® folding crossbrace option. With patented Intelligent Rotation in Space technology, the IRIS seat frame rotates around the child's center of gravity. The rotation arm was designed specifically for pediatric users to ensure a smooth tilting motion. It also helps children remain comfortable and secure while tilting, and it is easy for parents and caregivers to control. Available with 40° or 55° rotation ranges that can be set to achieve up to 45° or 60° of posterior rotation, the IRIS offers superior positioning capabilities. The Zippie IRIS now offers the benefits of both rotation-in-space technology and an optional folding frame. Its patented XLOCK folding crossbrace fully locks when unfolded for superior rigidity, and folds into a compact size for convenient transport. The IRIS is available with a wide variety of options to help you manage daily activities involving your child's care. The Foot Release Tilt Actuator eliminates exposed cables. 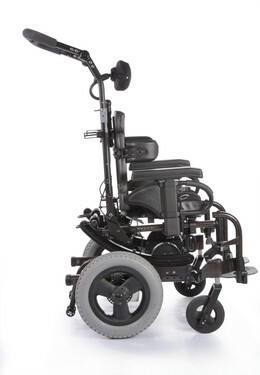 Push-button hub locks located on the back canes are compact, easy to access, and easy to operate for any caregiver. 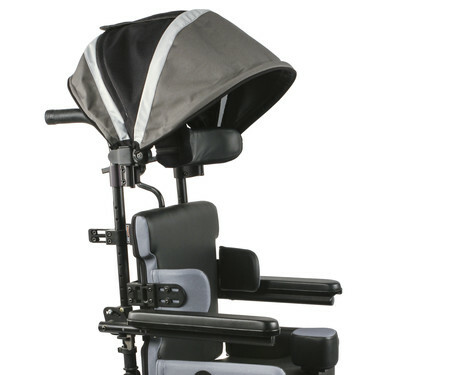 Standard with the Height Adjustable backrest, the Angle Adjustable Stroller Handle has 260° of angle adjustability to fit varying caregiver heights and to enable pushing from a tilted position. The IRIS is designed to maintain proper support for your child as they grow. The folding frame option offers up to 4" of built-in depth growth and 2" of built-in width growth. The rigid frame option is available with width-adjustable strut tubes. User Weight Capacity 225 lbs. WARNING: Addition of the Z-Finity™ System footrest to this device limits the maximum allowable user weight to 165 lbs. (75 kg). Average Shipping Weight 90 lbs. and 15 lbs. 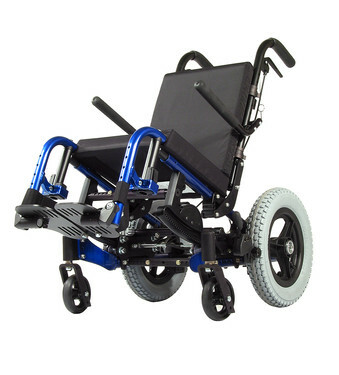 Overall Chair Width 17.5" to 25.5"
Seat Widths Rigid: 10" to 18"
Seat Depths 10" to 18"
Front Seat-to-Floor Height 13" to 19"
MONO Backrest System®: 18.7", 21.7"
Center of Gravity (COG) Adjustment 6"
ORION GROUP Q&A- Will the canopy be funded on Dependent Mobility Bases?